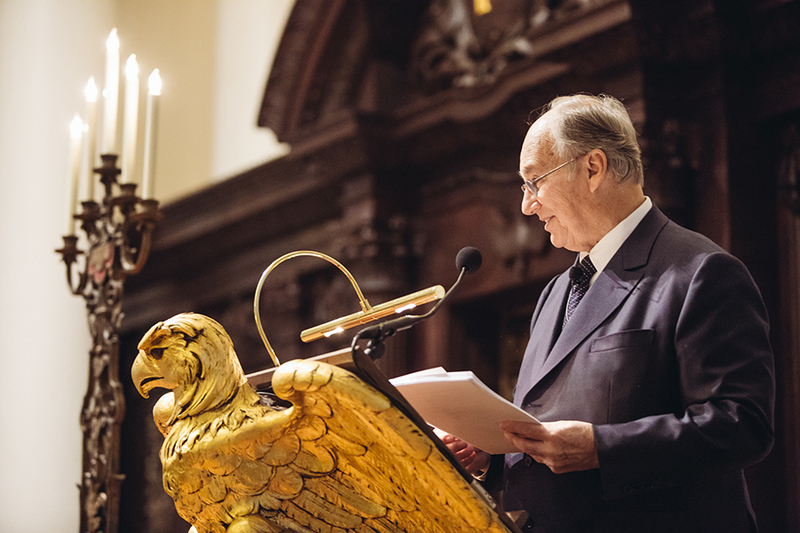 His Highness the Aga Khan delivering the Samuel L. and Elizabeth Jodidi Lecture at Harvard University's Weatherhead Center for International Affairs on 12 November 2015. 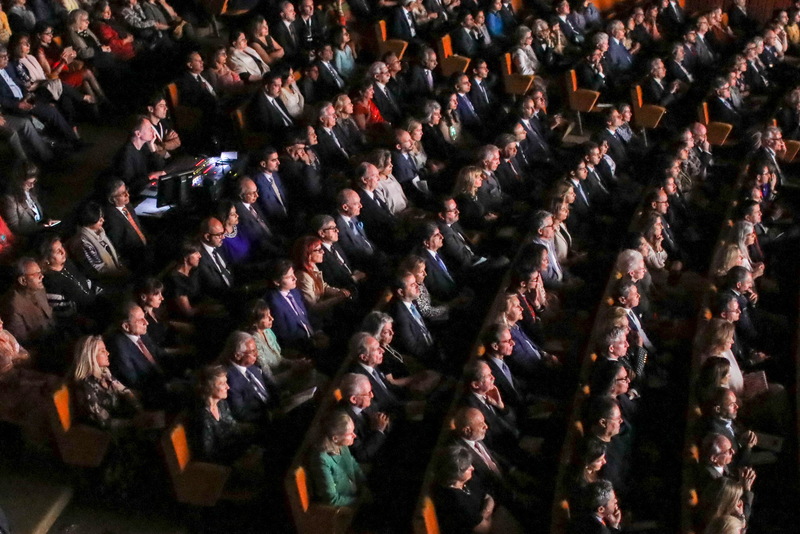 His Highness the Aga Khan spoke as part of the Samuel L. and Elizabeth Jodidi Lecture series, which provides for “the delivery of lectures by eminent and well-qualified persons for the promotion of tolerance, understanding and good will among nations, and the peace of the world". 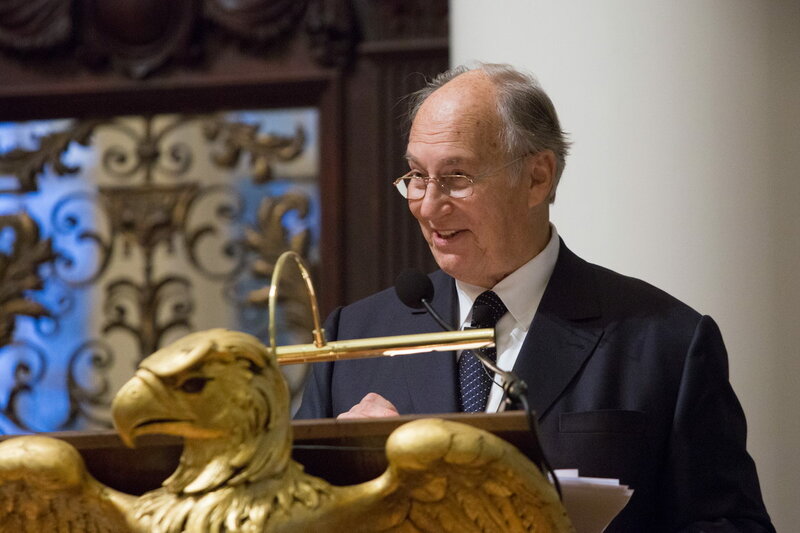 His Highness the Aga Khan spoke at Harvard University's Weatherhead Center for International Affairs on "The Cosmopolitan Ethic in a Fragmented World". 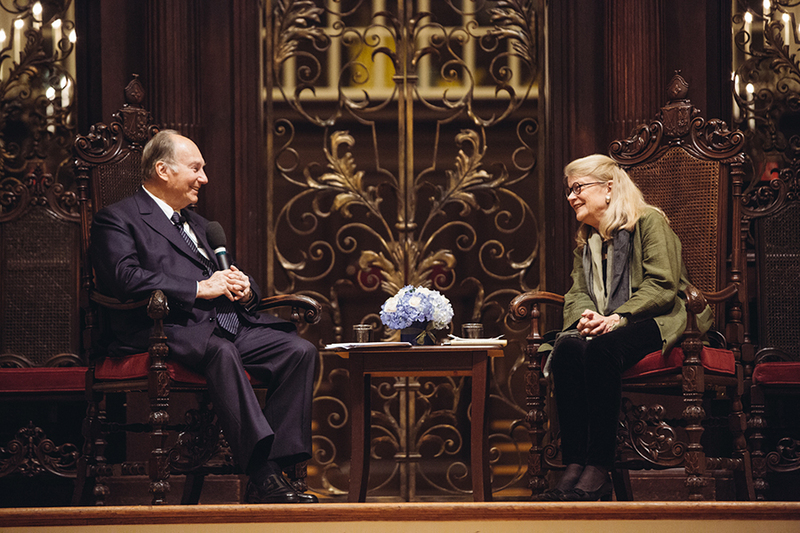 Professor Diana L. Eck of Harvard University interviewing His Highness the Aga Khan following the Samuel L. and Elizabeth Jodidi Lecture, 12 November 2015. 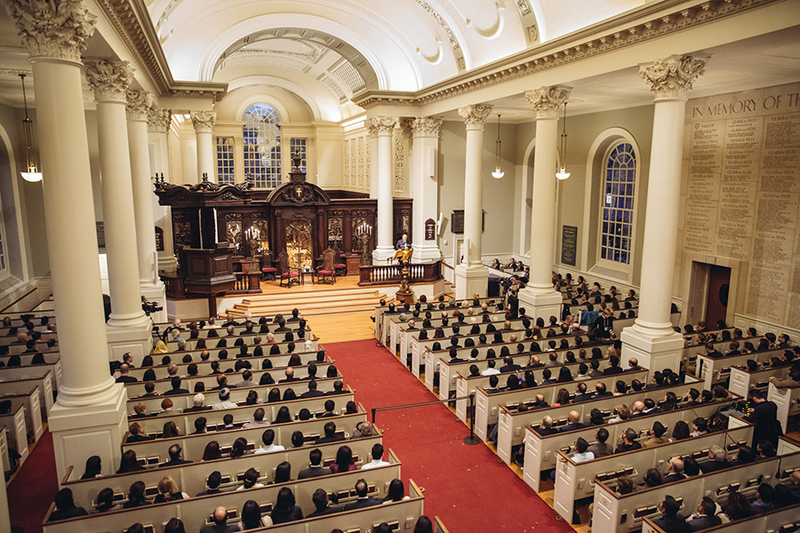 Cambridge, Massachussetts, 12 November 2015 - His Highness the Aga Khan delivered the Samuel L. and Elizabeth Jodidi Lecture at Harvard University's Weatherhead Center for International Affairs. 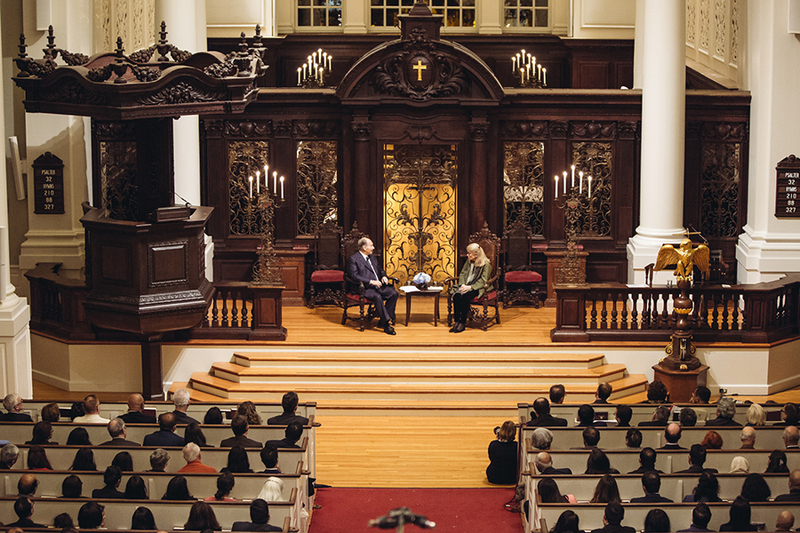 Entitled “The Cosmopolitan Ethic in a Fragmented World”, his lecture covered the challenges to pluralism and cosmopolitanism.